Oh, hello. Yes, it’s me, another blogger talking about gratitude the week of Thanksgiving, leading into the holiday season. It feels cliche, but I had a bit of a moment last night, and it inspired me to ignore how cheesy it feels to write a post about all the things I’m grateful for, and instead embrace it. On a daily basis, I have so much to be thankful for: a wonderful family, a loving relationship, good friends and a growing business. To me, those are the big things in life — family, love, friendship, fulfillment. It’s important to remember the little things too. I know I so often forget. I immediately grabbed my phone and started typing out this list (May or may not have told Tim I needed a second in the midst of our conversation. When inspiration strikes, it strikes! Sorry, Tim!) and knew right away that I wanted to share it with you. Plus, selfishly gratitude makes you happy — science says so, people! It felt good to think about and write this list. And even if what I’m grateful for doesn’t resonate with you, I hope you’ll feel inspired to take a moment to think about what you’re grateful for too. While of course I’m grateful for my family (especially my dad’s daily good morning texts and my weekly TV gossip sesh with my mom), my amazing boyfriend Tim for his constant love and support, plus my friends, health and all that good stuff, today I want to focus on the things I’m grateful for when it comes to running JL&Co. 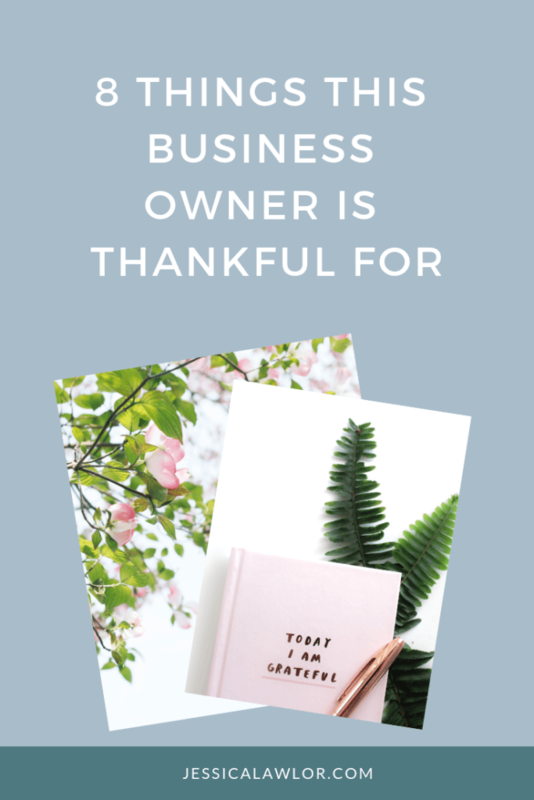 Running a business isn’t always easy, but there’s so much, even in the stress of the day-to-day grind, to be thankful for. Here are eight things I feel thankful for as a business owner. If it weren’t for my clients, JL&Co wouldn’t exist. My clients are the very heart of everything I do. And believe me, I’m grateful for all of ’em. From my very first client who found me on social media years ago to the clients I’ve parted ways with to the clients I love and work with on a daily basis, each has taught me something valuable and new. Mostly though, I’m thankful for the many businesses and individuals who have trusted me and my team with their stories and their important work. I deeply understand the weight that trust carries. As a small business owner who works from home, I could go days without speaking to another human if I really wanted to. It can get pretty lonely. One of the things I missed most about working a 9-5 was my relationships with my colleagues. But now I’ve made a new set of colleagues, and while I may not see them by the water-cooler every day, I send them emails, chat with them on Twitter, watch their Instagram stories and read their blogs and newsletters. And some of those online relationships have blossomed even further: two in particular really stand out. I’m very thankful for my business besties Crystal Richard and Brittney Lynn. These two ladies have become my accountability buddies — we catch up once or twice a month via video chat to share successes, help one another through challenges and hold each other accountable for our big, scary goals. It’s wild how much I have in common with these two strong women, and these friendships mean the world to me. Hiring Rachel was the single smartest decision I’ve made since starting JL&Co. I feel grateful every day that despite having a full time job and a growing photography business, Rachel continues to dedicate time to helping me grow and nurture JL&Co. Working with Rachel gives me time back in my day, brings a different skillset to our clients, gives me a wonderful sounding board to talk out challenges, but most importantly Rachel helps JL&Co to thrive. I don’t know what I would do without her! You all know I’m obsessed with podcasts, right? If not, here’s a massive list of about 50 I listen to on the regular. Going back to that whole “it’s lonely to work by yourself” thing, listening to podcasts as I go about my day makes me feel a little less alone. They also entertain, inspire and introduce me to a whole new set of topics and people to add to my arsenal and network. These days, I mostly listen to entertainment style pods, but I also still listen to a handful of business and news-related shows, as well. I am so happy to be running a business in 2018. I know people have started businesses for decades, but the barrier to entry when it comes to starting a business right now is extremely low. As long as you have a laptop and internet (plus skills, of course), you can start a business. Luckily, there are also a ton of free and paid tools I use to help me run JL&Co. From Google Analytics to Slack to Trello, all of these tools keep JL&Co chugging along day after day. I’m grateful for them all! I couldn’t quit Facebook, even if I wanted to. Know why? Facebook groups. These days, I barely even see personal posts in my Facebook feed because I’m part of so many wonderful groups that flood my newsfeed with interesting content and cool opportunities. From a private group for freelance writers to the wonderful Solo PR Pros to various groups for shows I watch (cough, The Bachelor, cough), I’m constantly informed and entertained as I scroll through Facebook. 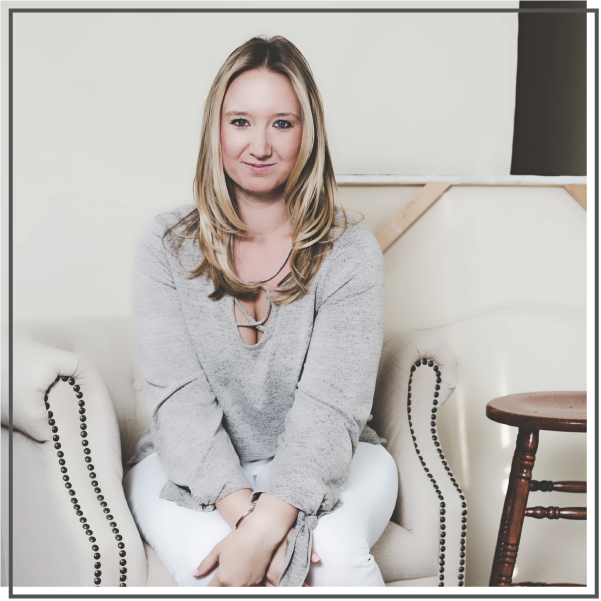 Plus, I’ve met some awesome people (A combo of Facebook + Twitter introduced me to Anna Goldfarb who recently included me in a piece she wrote for Vice), brought on new clients and discovered speaking opportunities, all through Facebook groups! This project was a very long time coming, and I am so grateful that it’s finally complete, and of course for the beautiful final product. I’m incredibly thankful for my wonderful website designer Michaela from Beachside Studio, who I would recommend 1,000x over. I’m beyond excited to see what kinds of opportunities stem from this rebranded and updated online presence that now wholeheartedly represents me and my business. And finally, I really just want to say how thankful I am for all of you. For the people who read my blog whether you’ve been around since my book blogger days (waaaaaay back when) or if you just discovered this little corner of the internet recently, I appreciate you. I appreciate your emails, your tweets, your kind words on Instagram, and your attention to the stories I share. Tell me! What are you grateful for? Leave your thoughts in the comments below.